From Fellini to Antonioni and from giallo to neo-realism, Italy has one of the richest cinematic traditions of any country. Although the days of La Dolce Vita are long gone, a new generation of Italian filmmakers is rebuilding the country’s reputation for moviemaking. One of those is Paolo Genovese. 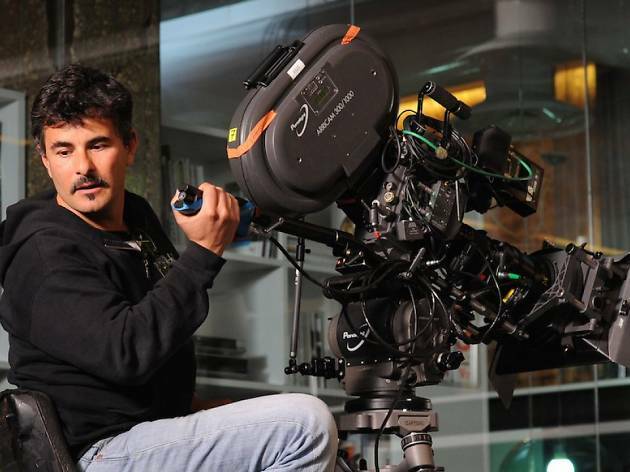 A director of hundreds of television commercials, Genovese now focuses on feature films. His latest, Perfect Strangers, is an intriguing and of-the-moment work which takes place at a dinner party where seven close friends agree to put their mobile phones on the table and to make all texts and calls public in order to show they have nothing to hide. The film bagged Best Film at Italy’s equivalent of the Oscars, the David di Donatello Awards, and it opens Cine Italiano, a five day film fest screening seven top contemporary films from Italy, as well as the restored classic, Cinema Paradiso. 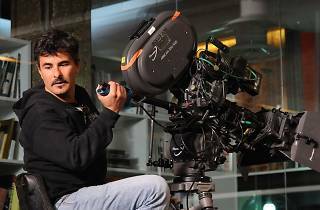 We speak to Genovese about his latest work, how he thinks Hongkongers will react to it and the state of Italian cinema in general. Where did the concept for Perfect Strangers come from? For quite a long time I wanted to make a film about betrayals and people’s secret lives. In a previous story I’d written, a couple entered into crisis: after an accident suffered by her husband, his wife starts using his mobile phone and discovers messages from her husband’s lover. From there I thought mobile phones might be the angle I was looking for. Nowadays, our mobiles contain all our words, images, sounds, memories and secrets. As one of the characters in the film says, mobile phones are the ‘black box’ of our lives, and I was surprised that no-one had thought to use them in this way. Were there any challenges directing this kind of film, which is very stagebound? As far as I’m concerned, the constraints become an advantage. That’s why I decided to never shoot outside the house. I realised that the energy created among the characters had to stay within the house, otherwise it would disappear. There were challenges from a mere technical point of view – ensuring a continuity of actions and lights and sounds – but the real challenge, the hardest one, was for the actors. For six weeks, every single night they had to eat exactly the same kind of pasta ad nauseam. How do you think the particular Italian qualities of the film will translate over to audiences in Hong Kong? I believe that the universality of the topic will be able to create the same identification in different audiences all over the world. Of course, I am very curious to see at the screening how the Hong Kong public will behave: whether people will laugh at certain lines and, above all, how they will react to the finale. What are your thoughts on the current state of Italian cinema? The industry needs to produce not just one or two films acclaimed by critics and the public every year, but 10 or 20 films that can support an industrial system. Unfortunately, nowadays, the industry is not like the one we hope for. We still require great creative, productive and legislative efforts to achieve the desired result. Giona Nazzaro, who heads the Venice Critics’ Week, said earlier this year: “The problem [is not so much the state of Italian cinema] but the state of those who cover it in the media.” Would you agree? It’s true we need to project a new confidence towards Italian cinema. That responsibility is not only related to the media but also everyone who makes movies. I mean, people often tend to replicate models that have worked in the past. There’s little desire to experiment and to takes risks. That’s what we really need to do to help the world focus more on Italian cinema – surprise the audience and be able to amaze people.